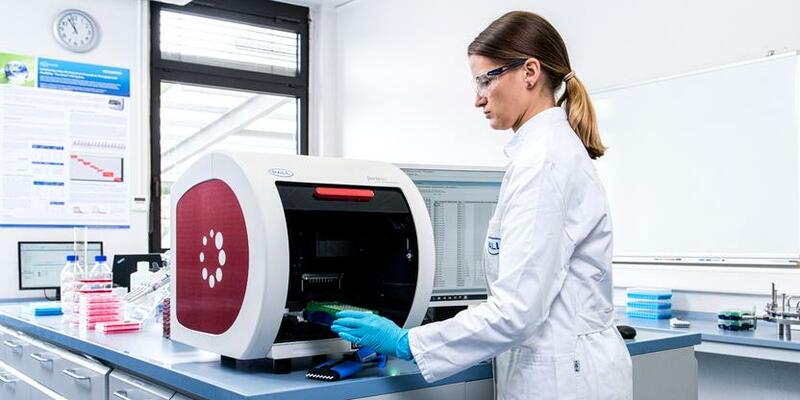 The Octet® RED96e system features additional capabilities to expand the number and types of samples that can be assayed, increasing access to data that can reduce the risk in bringing a drug candidate to market. 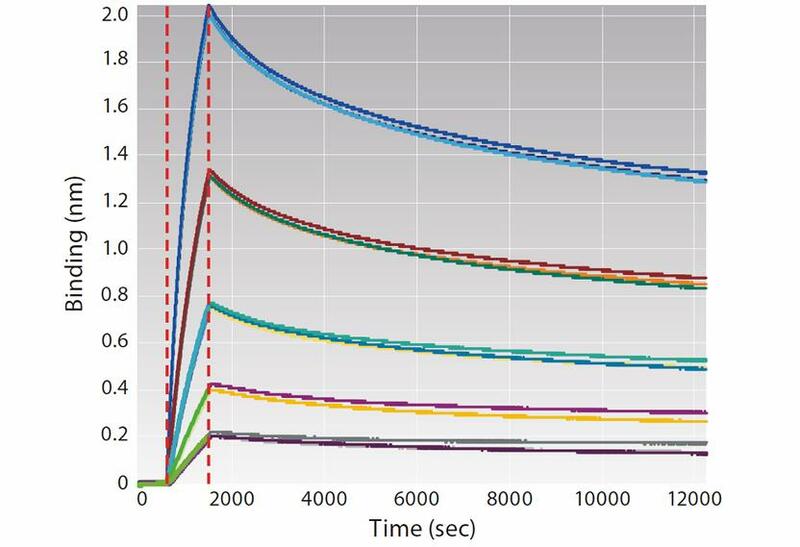 Measurement of long assay times per sample, for up to 12 hours of experimental run time. Here, the high reproducibility of triplicates running a full kinetic characterization of antibody-antigen interaction is demonstrated. There are several challenges associated with generating reliable kinetic and affinity information of hits at various stages of the lead selection process. The needs and challenges change as hits progress from the lead screening to characterization, optimization and to final selection stages. Label-free Bio-Layer Interferometry (BLI) enables scientists to obtain accurate information over a large range of binding rates and affinities during drug-target interaction studies. The Octet® sytems utilizing BLI are microfluidics-free and the sample analysis is non-destructive. When using BLI assays, only molecules binding to or dissociating from the biosensor can shift the interference pattern. Unbound molecules in the solution matrix or changes in the refractive index of the surrounding medium do not affect the interference pattern. This is a unique characteristic of BLI, and extends its capability to perform kinetic measurements in crude samples useful in applications for protein-protein binding screens, quantitation, affinity, and kinetic ranking especially in early stage development. 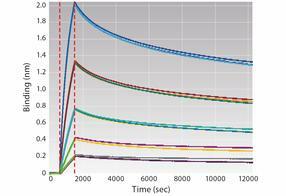 The whitepaper demonstrates the capabilities on high-affinity binders - measuring long dissociation rates (>1,5 hours). Furthermore, the user-friendly and application driven software is outlined to demonstrate the benefit for a non-experienced operator.